Posh Boy left this for me. I never was much of a record collector. Back them they collected around us getting higher and higher as the years went by. So in our houses made of vinyl it got kind of tight. So many records reviews to do. So many bands wanting their promotional push. It is the same old story of kids, record labels and promoters. No matter the band the story is always an interesting one. I really don’t know what to do with this 45 now. It sits in a dark closet awaiting some eve of destruction… who knows?? 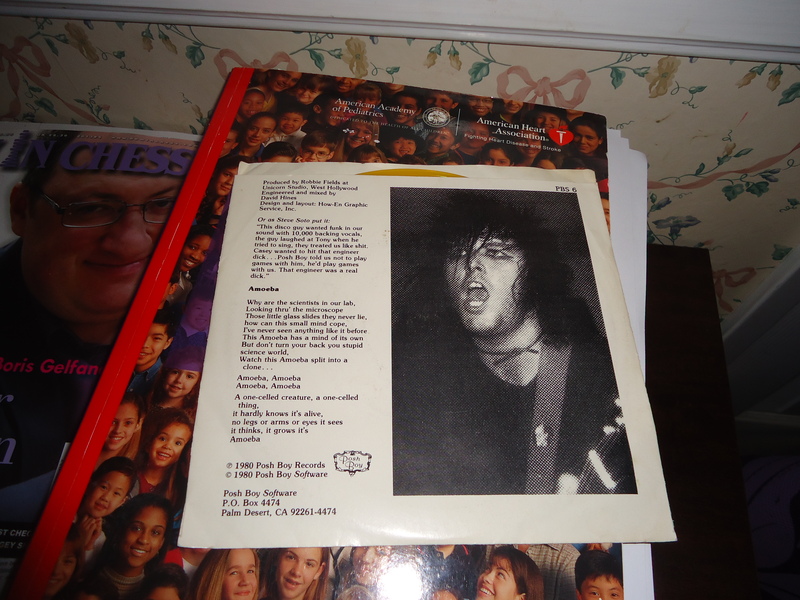 This entry was posted in PUNK NO-stalgia :Punk Rock, Records, CDs and anything to review that i want toooooooooooooo!! 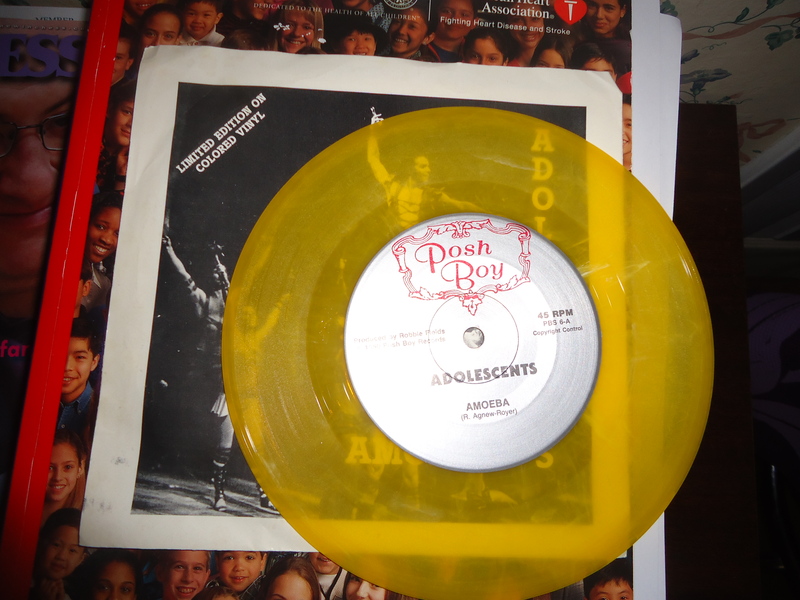 and tagged agnew, bell curve, colored vinyl, dark closet, doom of destruction, Posh Boy, record labels, royer. Bookmark the permalink.